Mining’s upswing in the past couple of years has been good news for original equipment manufacturers (OEMs) and equipment suppliers. Across the 2016-17 year (the latest full year figures available at the time of writing), the Australian Bureau of Statistics (ABS) recorded a 38.2 per cent growth in earnings before interest, tax, depreciation and amortisation (EBITDA) in the mining industry to $83.6 billion. 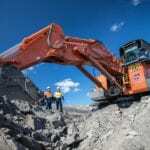 The Queensland resources industry delivered record royalties for the state in 2018. This helped to keep Queensland’s budget in the black, with returns from coal royalty taxes in particular up to a record $4.26 billion. Coal also returned the largest increase in export value for 22 straight months from December 2016. National Group is a mining supplier that has risen to meet the increased demands of the industry’s recovery in the past year. Taking a port-to-pit approach, National Group ships equipment components through in-house company International Global Logistics before it is hauled to mine sites via National Heavy Haulage. 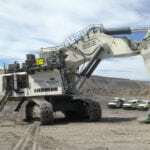 Finally, the delivered equipment — and the staff to support it — are managed through National Plant and Equipment (NPE) and National Mining Services (NMS). National Group founder and chief executive officer Mark Ackroyd says the upswing has created more certainty across the whole sector. “In the downturn, all the OEMs and manufacturers saw their new equipment stock deteriorate as they didn’t have as much new stock coming through,” he says. In particular, the Australian coal sector, which was thought to have flatlined just a few years ago, has enjoyed a major comeback with across-the-board growth. “I think it’s going to be quite stable for quite some years to come,” says Ackroyd. “There’s some new operations starting and others kicked back into gear once the market got a bit more positive. The whole mining market is in a much better position than what it was 12 months ago. National Group built significant momentum in the latter half of 2018 with the delivery of several high-profile ultra-class haul trucks, defined as trucks capable of hauling payloads of 290 tonnes or more. Though miners do sometimes buy these trucks outright, rental is an attractive option for companies — even Tier 1 operators — as it provides them with additional flexibility to meet project needs without running the risk of underusing assets. “Capex is still a big concern for any major mining house at the present so sometimes it’s better to lease or hire the equipment as opposed to owning the equipment as lead times for new equipment are quite long,” Ackroyd explains. 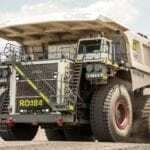 The company completed two major truck deliveries, one for Anglo American and the other for Idemitsu, in August last year. NPE delivered 12 new Komatsu 830E dump trucks for Anglo American’s Capcoal operation, and an additional four machines down the line for 16 trucks in total. The first batch of 12 trucks was assembled at NPE’s Yatala site in Queensland over two months in late 2017. Ackroyd says lengthy lead times are common for ultra-class deliveries. “Larger equipment can take up to 18 months from date of order to receiving it in the country,” he says. Even large trucks that fall outside the ultra-class bracket, such as 190-tonne capacity models, can take up to nine months in the current market. NPE then delivered three Komatsu 930E trucks (the world’s best-selling ultra-class mine truck) and a Liebherr R 9800 excavator to Idemitsu’s Boggabri coal mine. 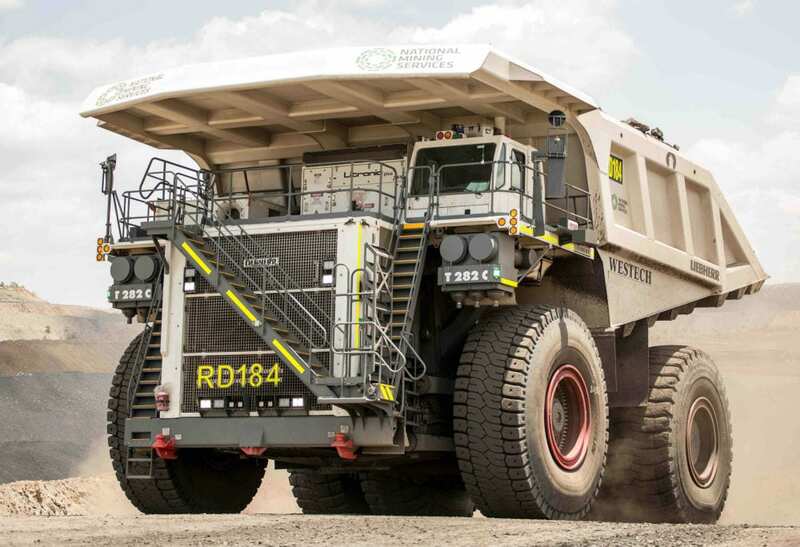 The company later secured five rental Liebherr T 282 C haul trucks for BHP’s Peak Downs coal mine in the Bowen Basin region of Queensland in November. Liebherr’s T 282 C is considered to have the second largest payload capacity among mine trucks globally with a payload of 363 tonnes, or 400 short tons. National Heavy Haulage organised delivery of the trucks from Mackay to Peak Downs via heavy-duty prime movers in five separate trips across September and October. The journeys required police escorts and road closures to accommodate the immense size of the vehicle components, particularly the chassis and attached wheels. “It’s a fairly big task to organise transport, get them assembled, get them on site — it takes a lot of planning and procedures to do so,” says Ackroyd. The trucks were the last of their type to be delivered to Australia prior to Liebherr’s release of its T 284 successor model. National Group went a step further in December by delivering a Hitachi 5600 excavator to Peak Downs to complement the trucks and a Liebherr R996B excavator to BHP’s sister mine, Poitrel. While 2018 was a year of literal and metaphorical big things for National Group, it isn’t resting on its laurels. Big things are, after all, not known for their agility. National Group plans to keep pace with mining’s ever-expanding automation push with a pivot towards new technologies and innovations in 2019. “That’s a big focus of ours going forward,” says National Group marketing executive Kain Ford. The company has taken recent strides into the automation arena with an upcoming contractor acquisition, which offers a variety of dozer push, excavation and rehabilitation services in Queensland and New South Wales. “Adding this contractor to the National Group will allow us to deliver additional services in autonomous operations, so it was a logical choice for us,” Ackroyd says.